It’s been a long time coming. This year at SIHH 2019, Audemars Piguet stunned the world with an all-new collection — something the brand hasn’t done in decades. The new CODE 11.59 was years in the making and is an all new case, design and concept. Essentially, the new series — designed as a unisex 41mm watch — consists fo 13 model, six caliber and three brand new calibers, including an integrated in-house chronograph, an automatic and a self-winding flying tourbillon. 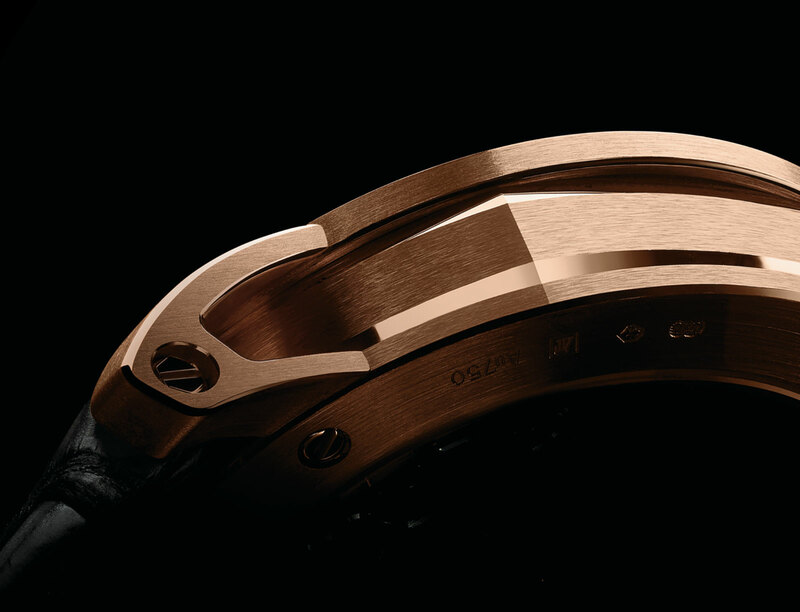 Designed to be a new pillar for the brand, along side the Royal Oak, Royal Oak Offshore, Royal Oak Concept and the Millenary, the new CODE 11.59 gets its name from the brand’s revolutionary spirit. C stands for challenging the codes fo craftsmanship, O stands for owning the brand’s legacy. D stands for Daring to be different and E is for evolving, never staying in one place. The 11.59 is the last minute before a new day begins. According to Francoise-Henry Bennahmias, CEO of Audemars Piguet, the new collection is meant to start an all-new chapter for the legendary brand. 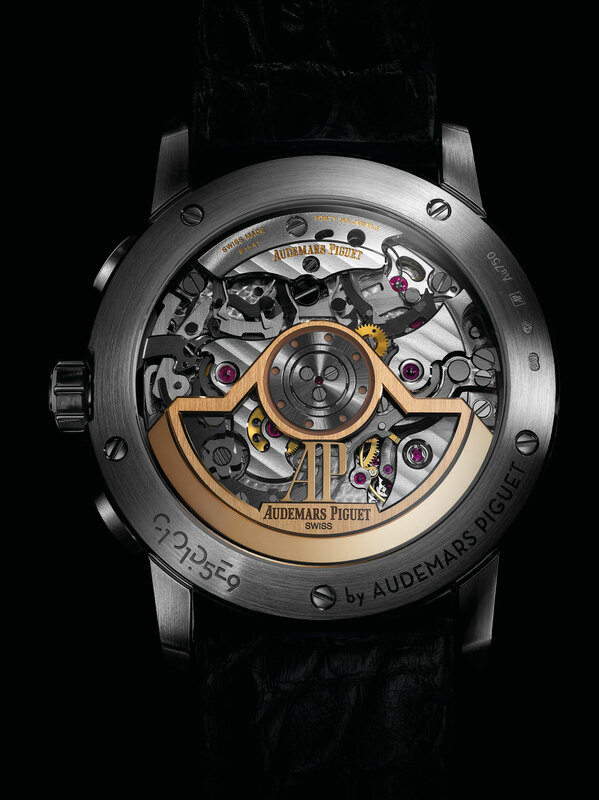 Audemars Piguet Code 11.59 features an octagon case side. So, to start, there are 13 models – each in a 41mm case that is seemingly round and devoid of a bezel so that it looks as if the dial reaches all the way to the case — giving a great view of the dial. However, standing true to the O in the name (owning the brand’s legacy), the watch has to have a shape that is not just round. It does. Turn the three-piece case to look at the sides and one immediately witnesses the octagonal form. There are also new lugs that are specially designed and openwork,d and double curved sapphire crystal. 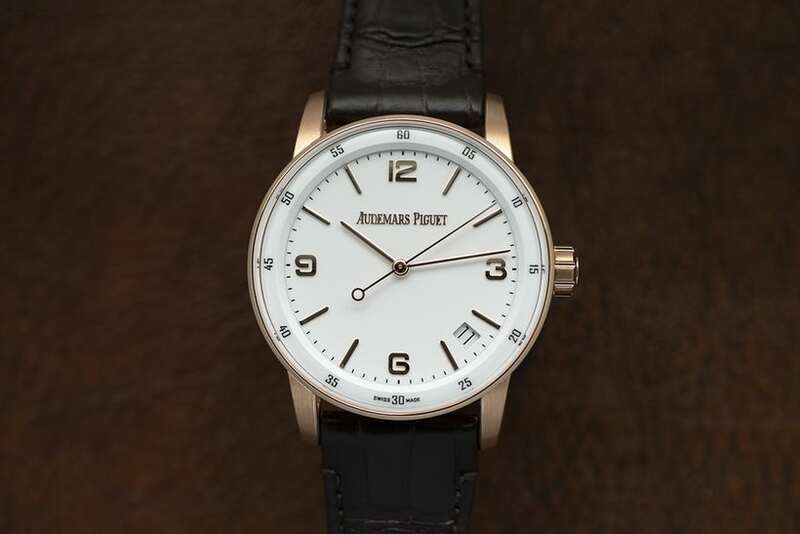 The stunning dials are completely lacquered, and while many brands offer limited edition watches with lacquer or enamel dials, Audemars Piguet is making hundreds of new watches all with a lacquer dials. The new Audemars Piguet raised logo alone was almost two years in the making. 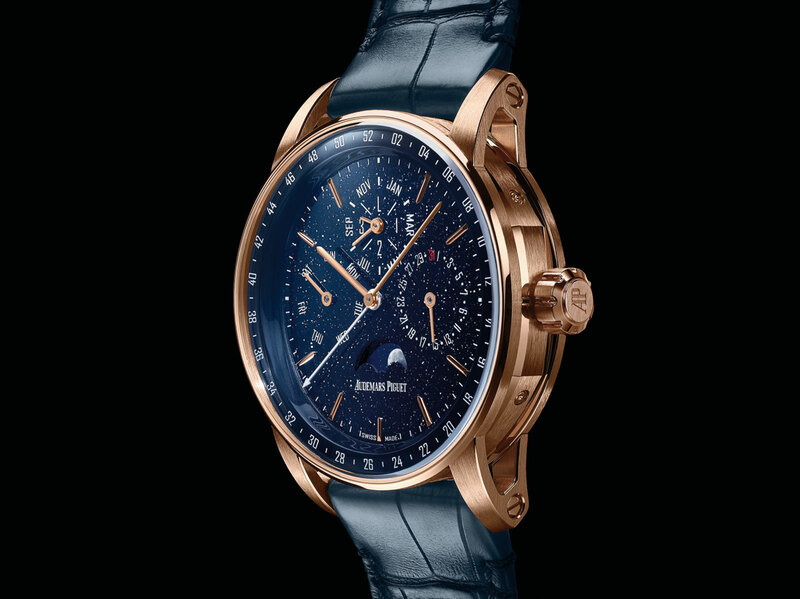 There is also an aventurine dial for a 100-piece limited edition perpetual calendar watch with moonphase indication. The goal for 2019 is to release 2,000 CODE 11.59 watches, but eventually to have this new pillar become 20 to 25 percent of the brand’s production. You can read a great deal more from our friends and colleagues at MONOCHROME. 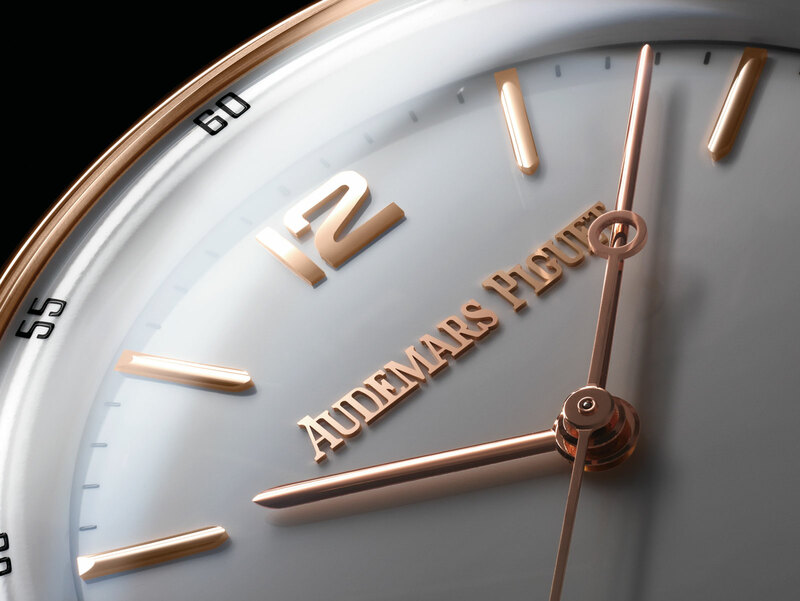 Audemars Piguet Code 11.59 perpetual calendar with aventurine dial. In the meantime, though, here are a few details. The watches retail in price from about 25,00 Swiss Francs for the self-winding three-hands with date, to about 175,000 Swiss francs for the Openworked flying tourbillon. 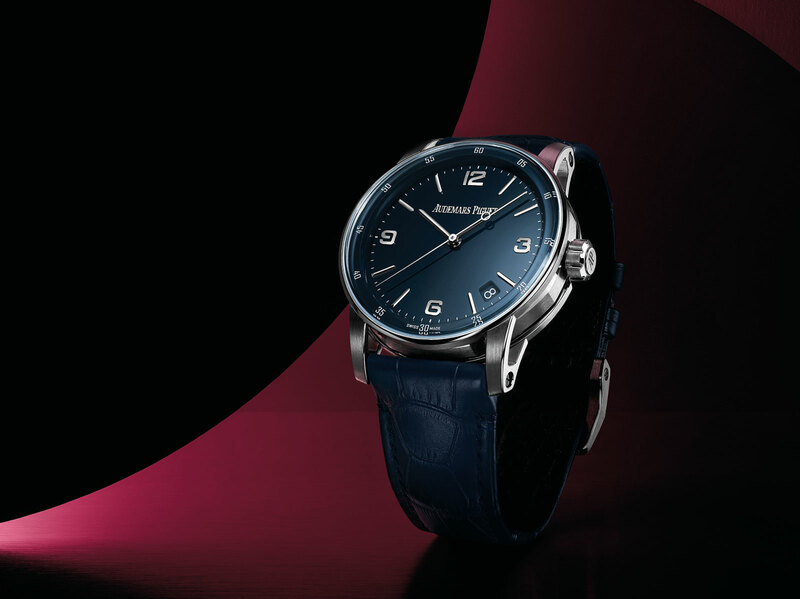 There is also a Minute Repeater Supersonnerie with blue enamel dials that will most likely sell for about $300,000. 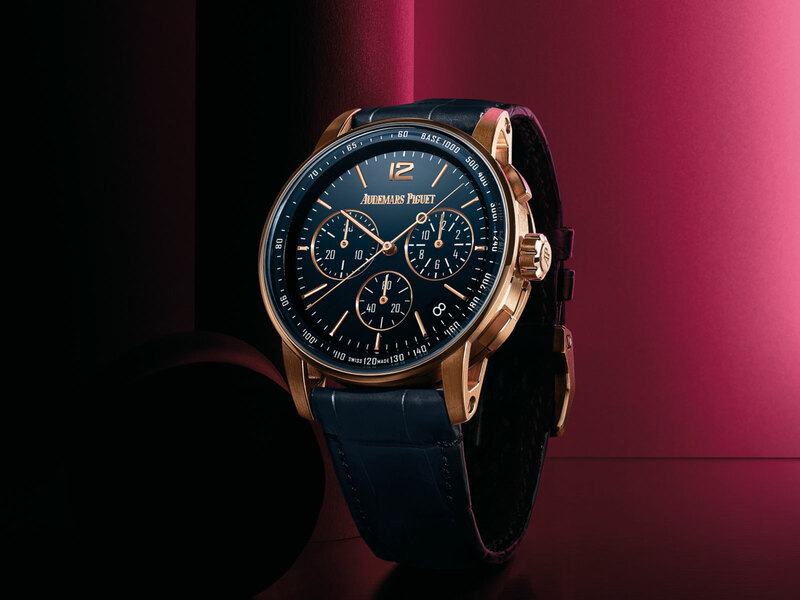 The mainstream, though will include the perpetual calendar in 18-karat pink gold with an aventurine glass dial (about $69,500) and the Chronograph with the new caliber 4401 movement — the brand’s first in-house automatic chronograph with column wheel and vertical clutch. Offering 70 hours o power reserve, it retails for just under $40,000. The Code 11.59 Self-winding flying tourbillon, powered by the caliber 2950 will sell for about $130,000. The applied logo is made using galvanic deposition process.